A set of words, symbols and codes used to write programs is called programming language. Different programming languages are available for writing different types of programs. With the help of computer language, a programmer tells a computer what to do. Some popular computer programming languages are C++, Java, Visual Basic etc. These are examples of high level programming languages. 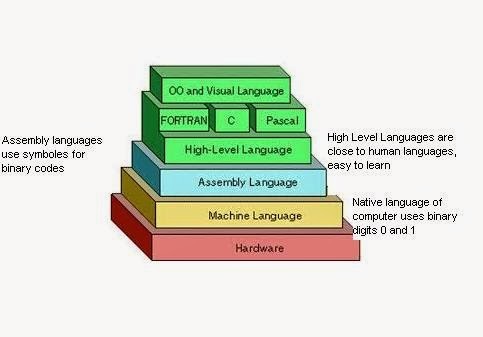 Whereas machine language and assembly language are called low level programming language. A programming language is a language that is designed to be used (read and written) by humans to create programs that can be executed by computers. 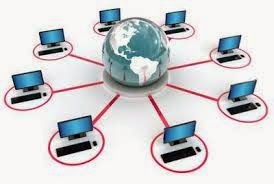 In other words we can say that programming languages provides the way so that the users may interact with the computer to give it commands and instructions to perform certain tasks. There are two main types of computer programming languages. These languages are near to computer hardware and far from human languages. Computer can understand these languages easily. A computer language in which instructions are written in binary form (0 and 1) is called machine language. It is the only language that is directly understood by the computer. Machine language is the native language of computer. 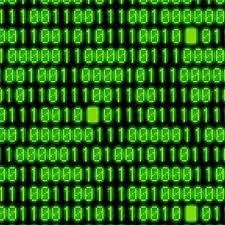 A computer language in which instructions are written in binary form (0 and 1) is called machine language. It is the only language that is directly understood by the computer. a) Very fast program execution: Because the machine language is the native language of computer that computers directly understand and execute. There is no need of a translator program, because computer can already understand and execute the machine language instructions directly without the need of translation. Machine language is also known as first generation language. Assembly language is a low-level language. In assembly language, symbols are used instead of binary code. These symbols are easy to remember. For example Add instruction is used to add two numbers. A type of language that is close to human languages is called high level language. High-level languages are easy to understand. Instructions of these languages are written in English-like words e.g. Print, Display, Write etc. a) A disadvantage of High Level Programming Languages is slower program execution. b) High Level Programming Languages provide programming facilities for performing Certain operations. FORTRAN stands for FORmula TRANslation. It is mainly used for writing applications related to science and engineering fields. 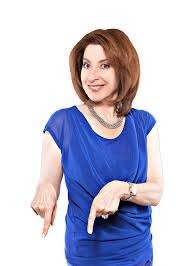 BASIC stands for Beginners All-purpose Symbolic Instruction Code. It was invented in late 1960's to teach programming skills to students. COBOL stands for Common Business Oriented Language. It was especially designed for business applications. C Language is one of the most popular programming language among students and beginners in the field of computer programming. C Language was designed by Dennis Ritchie at AT&T Bell Labs in 1972. Sometimes C Language is called a middle level language because it provides facilities to develop application software as well as system software. So C Language combines some important qualities of a high level language and a low level programming language. 1. Low-level languages are difficult to learn. 2. near to human languages. 2, far from human languages. 3. Programs in high-level languages are slow in execution. 3. Programs in low-level languages are fast in execution. 4. Programs in high-level languages are easy to modify. 4. Programs in low-level languages are difficult to modify. 5. Deep knowledge of hardware is not required to write programs. 5. Deep knowledge of hardware is required to write programs. Cambridge Kipp is internationally recognized as the leading provider of innovative yet intellectually challenging distance learning degree courses. Join today.